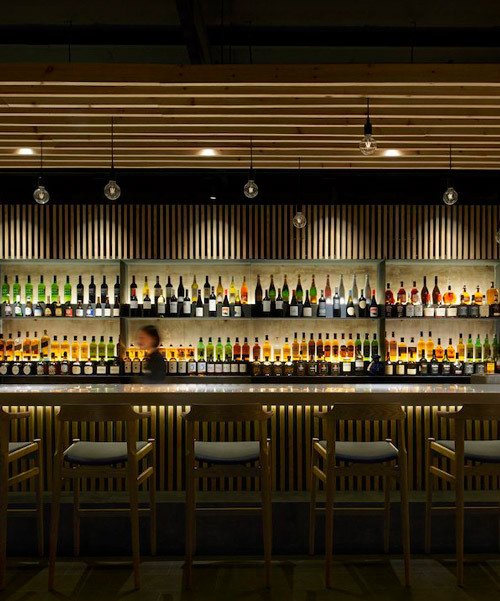 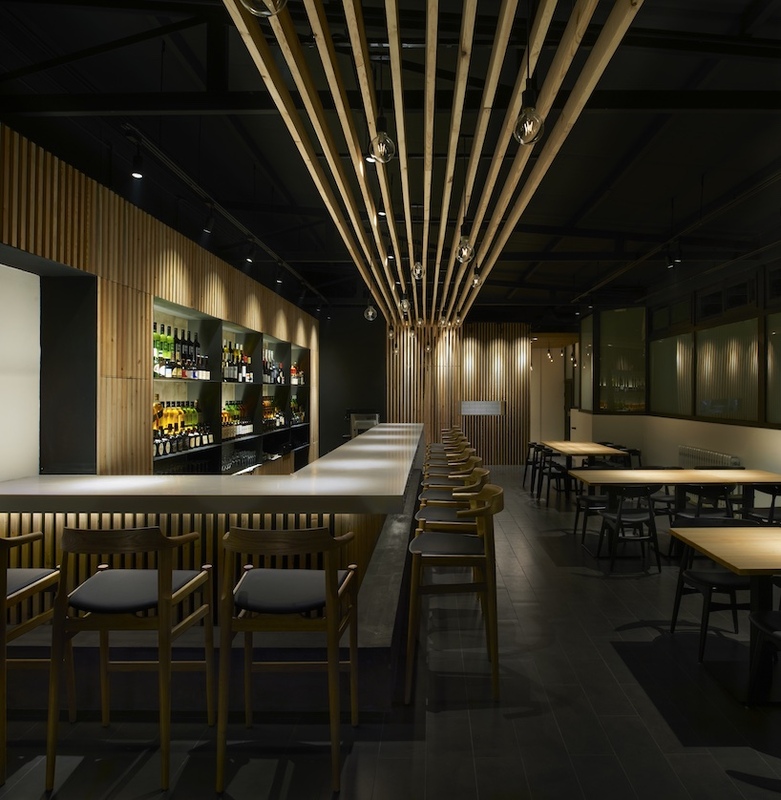 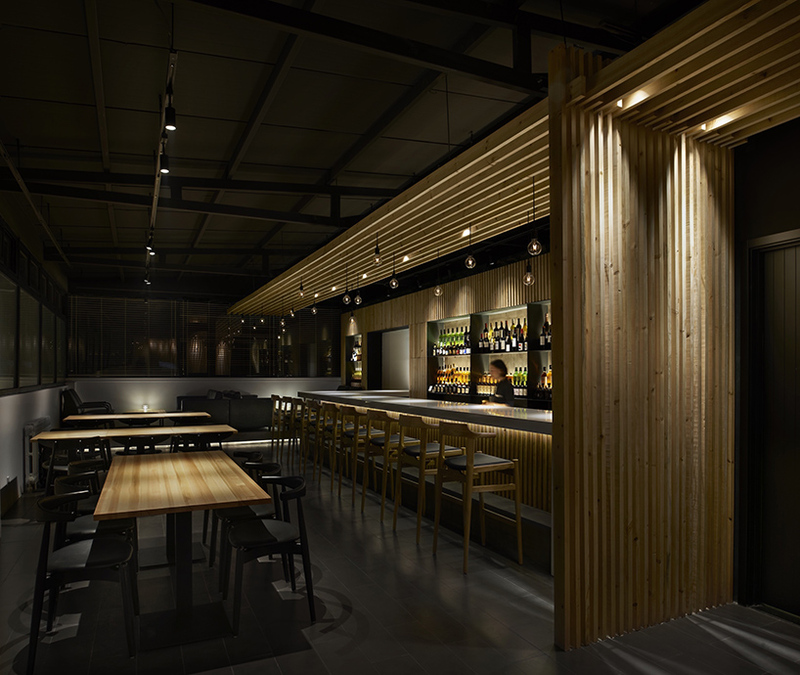 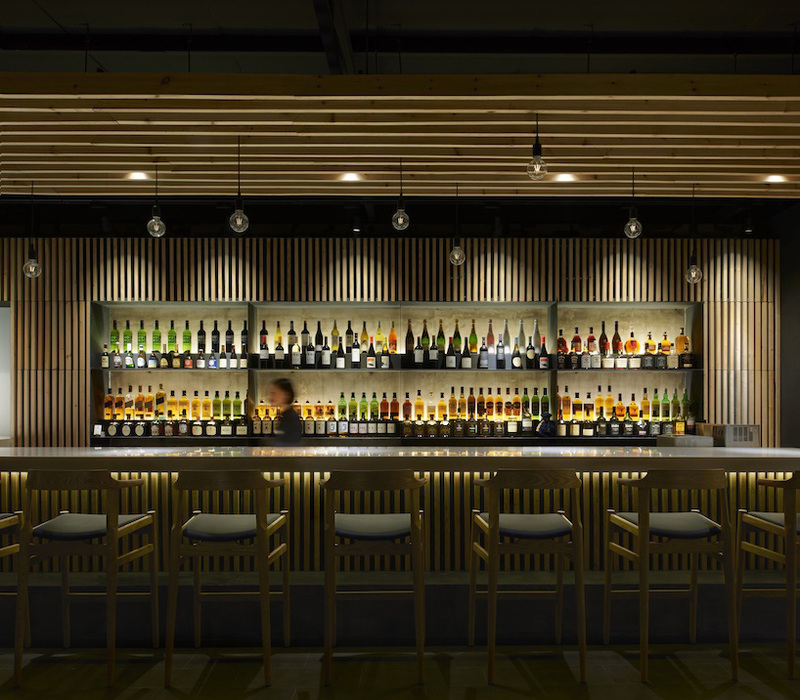 the bar counter features ceiling louvers with glass pendant lights to define a spatial hierarchy for the most dominant part of the izakaya. 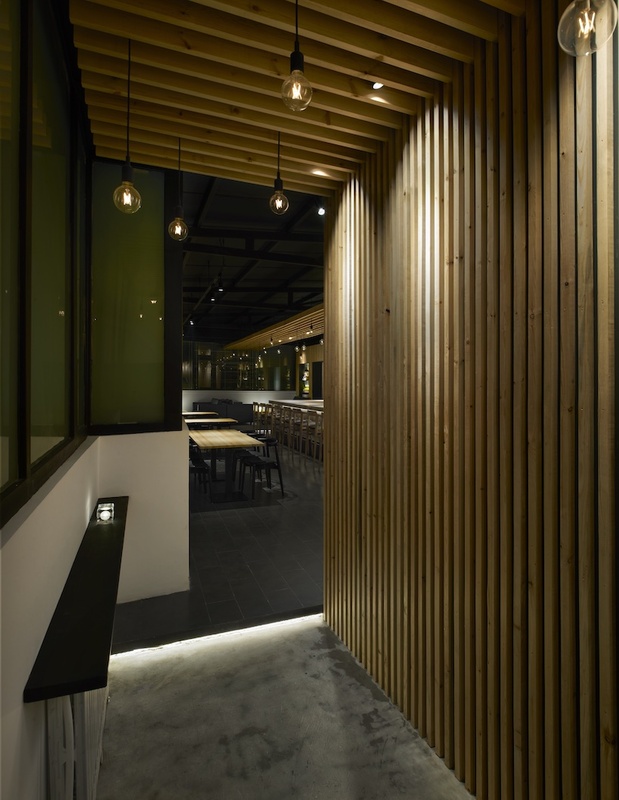 following the windows at a higher position, the further side of imafuku architects’ restaurant is one step higher, creating a sense of intimacy. 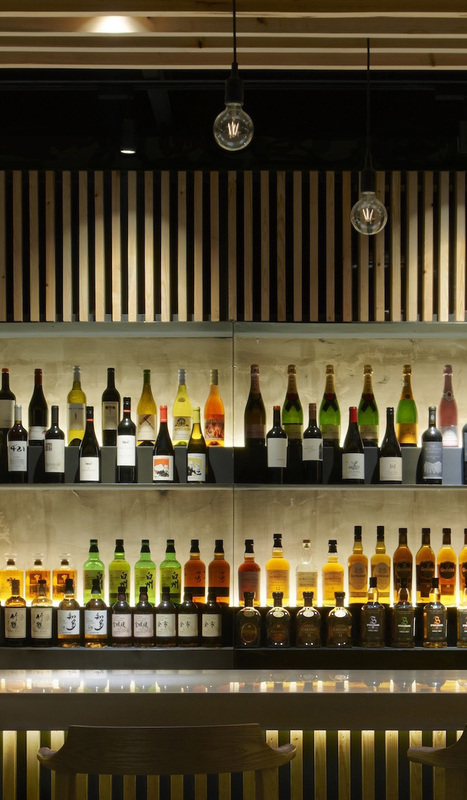 liquor bottles are displayed on shelves made of black steel plates with vertical louvers, while air conditioners and audio systems are hidden at the upper part of the louvered cabinet. 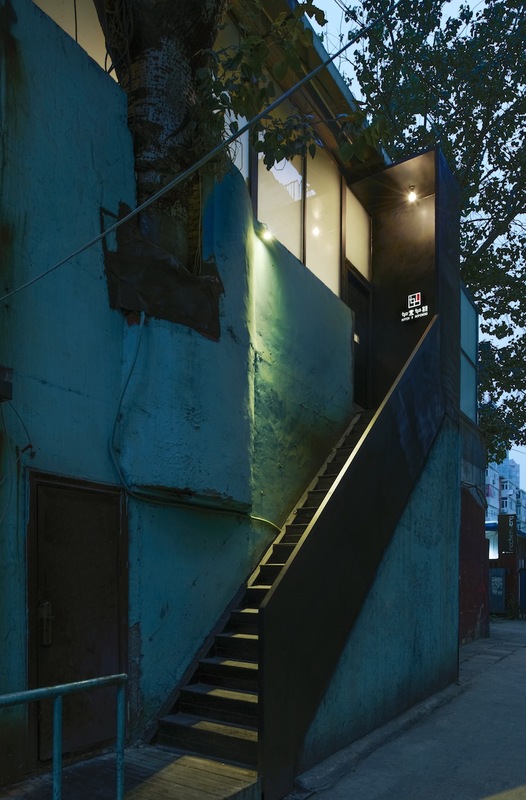 extending from interior to exterior, the language of black steel continues onto the outside stair to invite guests. 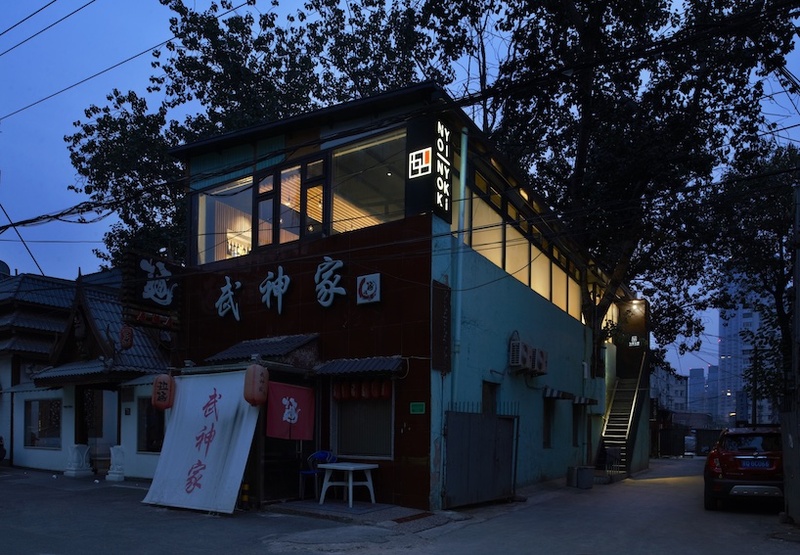 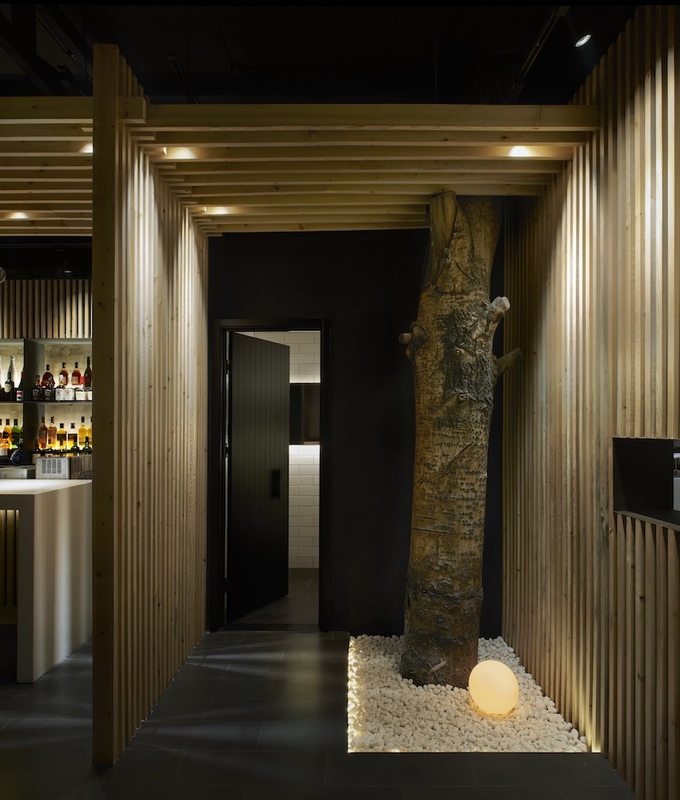 contrasting with the building façade, the hidden restaurant brings a calm and inviting atmosphere.